Should Ryan Babel be free to Tweet? Should Babel be free to Tweet about issues in the game? In an age when social interaction is increasingly conducted digitally it is perhaps no wonder that superstars of the sporting world, like millions of other users around the world, are going online to convey their feelings and thoughts. But is this something that should be encouraged? The internet is now truly global in scope and the communities that have formed around social media sites such as Twitter and Facebook number in their hundreds of millions. Communication has entered a new era where the public domain has been democratized ... and it's causing a few headaches. Take the example of Liverpool's Dutch midfielder Ryan Babel, who currently boasts 166,000 followers to his personal Twitter account (and which, after the events of this week, are no doubt climbing). After his side lost to English Premier League arch-rivals Manchester United in a domestic cup game the 24-year-old Tweeted about a controversial penalty that had led to his side's 1-0 defeat. He mocked the referee who had awarded the foul by posting an image of the official in a United shirt along with the comment: "And they call him one of the best referees. That's a joke." The Football Association (FA) took a dim view of this and charged him with improper conduct, making the Netherlands international the first to be disciplined in such a way for his use of a social-networking site. The Scottish Football Association moved swiftly too, by sending a letter to all clubs in the country warning that players are not allowed to criticize referees in the public domain, a rule that includes a wide range of mediums including blogs and social networking websites. It is easy to see why the development of this trend is causing anxiety in an industry usually so tightly controlled by press departments and media advisers, even Manchester United have banned the use of social networking accounts by their players. But it is fascinating for those on the outside. Players can respond directly to fans, can break news about a transfer situation, can voice opinion about controversial subjects and in Babel's case create a few themselves. Long gone are the days when footballers socialized with fans in their local town, but now a supporter from Shanghai can speak directly to Rio Ferdinand on the merits of his performance for Manchester United. Even managers are getting in on the act. Liverpool's new caretaker boss Kenny Dalglish has long had a Twitter account he uses to get out his message. Could this become a new weapon to conduct psychological warfare against his opponents outside of press conferences? 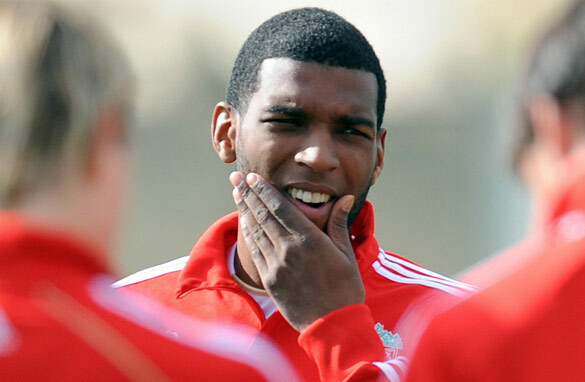 The Players' Football Association – a body that represents footballers plying their trade in Britain – clearly sees nothing to fear from the recent incident, suggesting the FA had "lost their sense of humor" in charging Babel over his post and that it was nothing more that was is sent between mobile phones on a regular basis. And maybe in the interest of learning more about sport celebrity personalities, and connecting supporters with stars, the PFA are right that players should remain free to voice their thoughts. One thing is for sure, the desire for one-to-one communication will not go away anytime soon and the social media audience is growing every day. Why not , since a sport star's fame (popularity, in fact), lasts for only five years... at most. what is the title of your next article? "should we be put in cages and have cold water sprayed at us for free thinking?" in a free society they damn well have every right to blabber about anything they want. you have every right to not pay one bit of attention to them just like i do. I think the bigger issue is why writers such as yourself are using social media as journalistic tools. Whether they should or shouldn't would not be an issue if goobers at publications like The Guardian would find something more worthwhile to write about. The article omits the fact that Babel apologized almost immediately and removed the mocked up photo of Webb from his tweet. He explained that he meant no offensive and that his original post had just been an emotional reaction to losing an important game. Sounds fair enough. Oh, and Brett from Toronto: please get your facts straight before identifying yourself as a fellow Liverpool supporter... It was Dimitar Berbatov who dove and won the penalty – not Ryan Giggs; Gerrard was sent off around 33 minutes – not the 20th – and according to the law of the game, rightly so. Not to be petty – but little inconsistencies like these give ammunition to Man United fans and the like – with which they denigrate all LFC supporters as clueless! YNWA! Of course they should be able to use it. It's ridiculous that Babel faces punishment for this, when a player who cheats in a game, then admits to cheating afterwards gets away free.